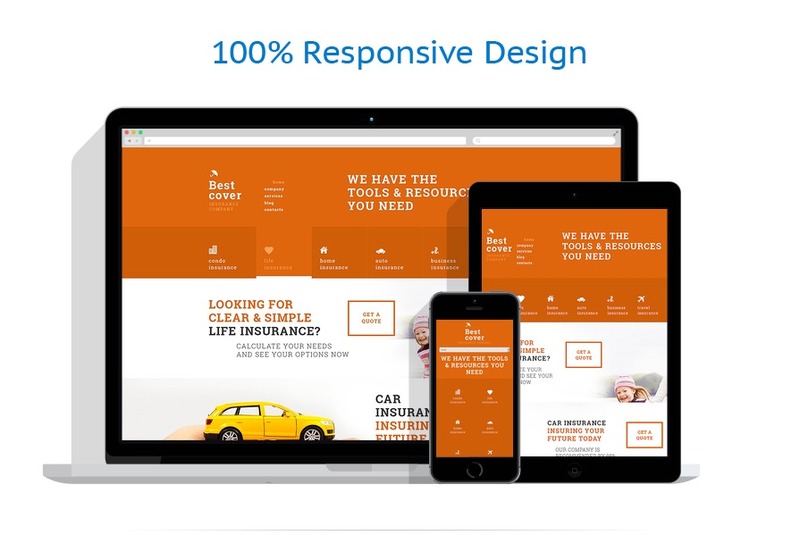 The Business WordPress layout has several awesome attributes any internet business definitely will enjoy from a web presence. You’ll find a contact page, built-in Google map, 100 % responsive structure, unique Cherry framework to allow you the simplest modification feasible, a range of colors and typeface alternatives, animated effects, cutting-edge and impressive design and style and more. Have a look at live demo! In the world of constant swindling, people have a serious attitude towards choosing an insurance company, which makes the latter establish a reputation as a reliable provider of the mentioned services. To reach this goal, building a website with the template displayed here will prove to be useful. Once people take a look at its images, they'll get a sense of courage for new adventures without worrying for their safety. Individuals will also be overwhelmed with optimistic feelings about their future due to a warm color scheme serving as a strong stimulus to conclude a deal with the promoted company. Use this template to convince everyone that their life and property will be in safe hands if they trust them to the advertized firm. 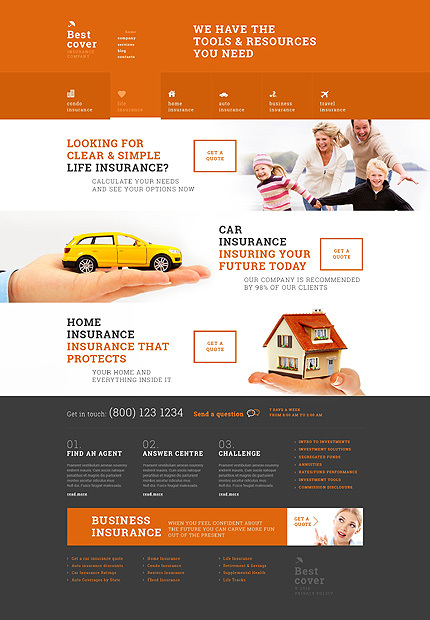 This template is designated for business, charity, family, or culture websites.